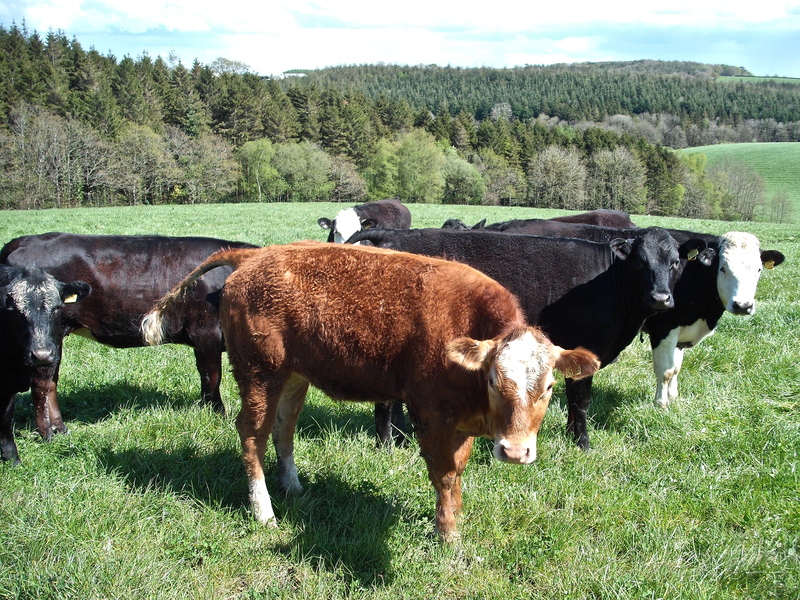 Young cattle near Buckland Filleigh. Buckland Filleigh is a curiously sinister grey mansion and chapel on a wooded hill. In it, conferences and training-courses are held. It would make a marvellous centre for a whodunnit series.